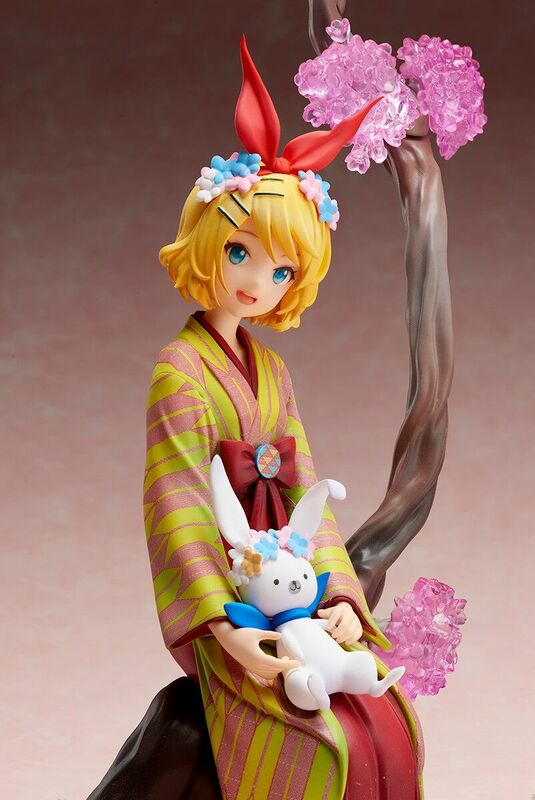 Kagamine Rin joins the Hatsune Miku Hanairogoromo figure series! 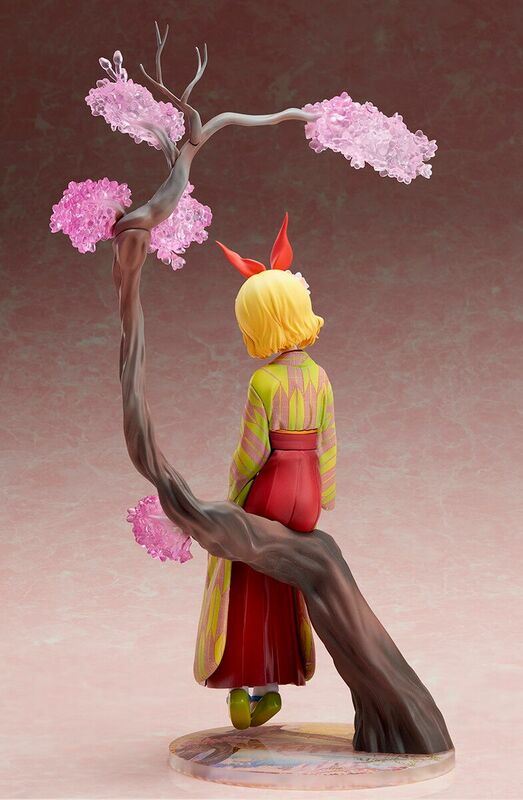 The beautiful illustration by Fuzichoco in which she sits on a cherry tree with a colorful dress is faithfully recreated. 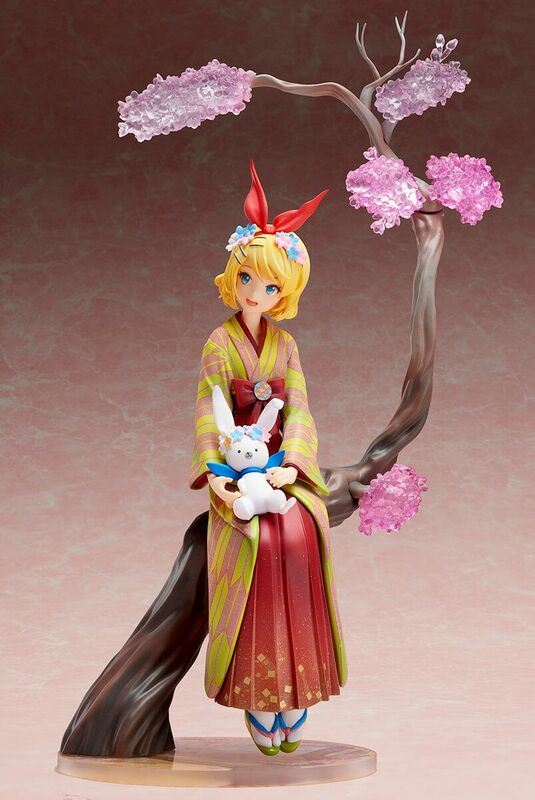 Yukine, the rabbit sitting on her lap, is cutely sculpted too. 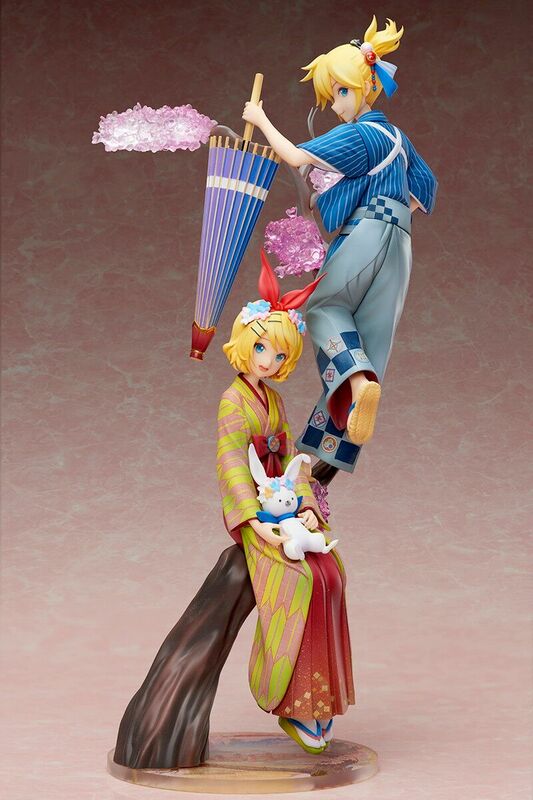 The figure is made so that it can be displayed together with separately sold Kagamine Len Hanairogoromo! 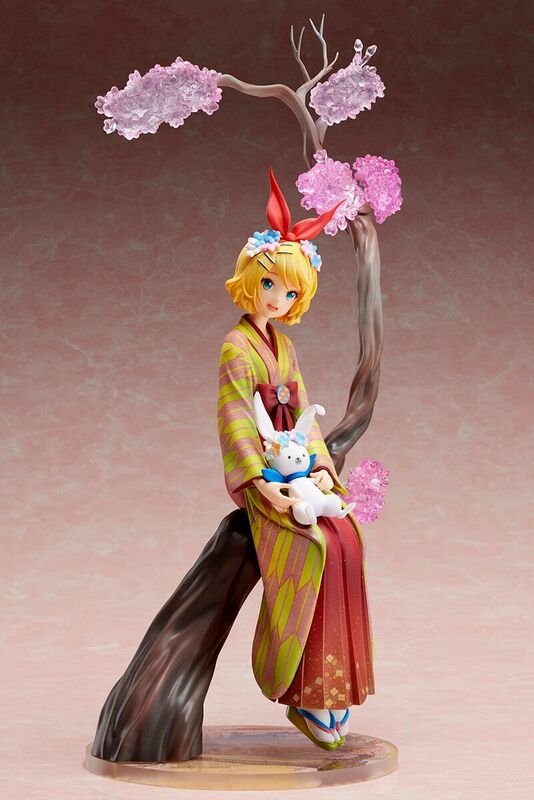 The connection parts to display them together are included with Kagamine Len Hanairogoromo.